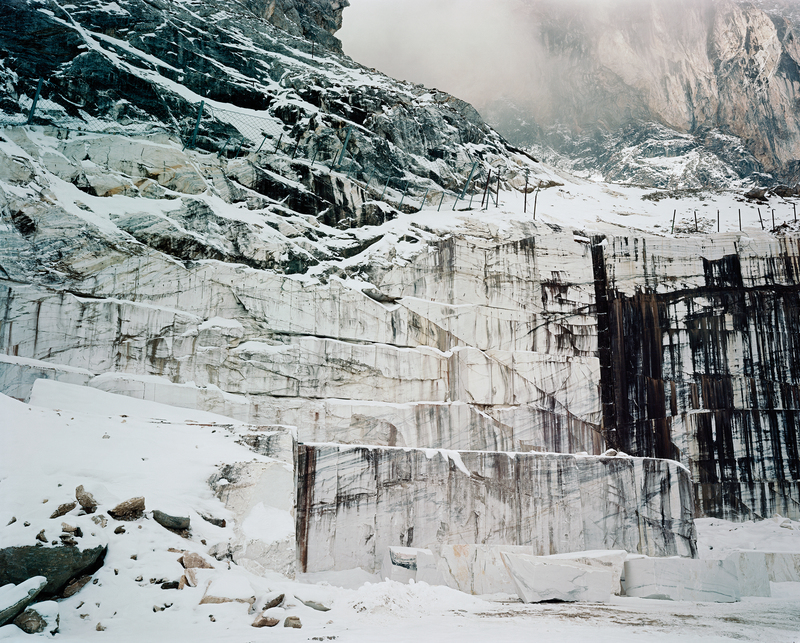 This environmental narrative is perhaps most explicit in the series White Gold, Perry’s photographs of marble quarries in Germany’s South Tyrol. Here, instead of sidelined Celtic backwaters, he gives us the drama of a heavy, luxury industry where the unusually pure white stone, destined to be fashioned into bathroom tiles for the world’s super rich, has been mined rapaciously. 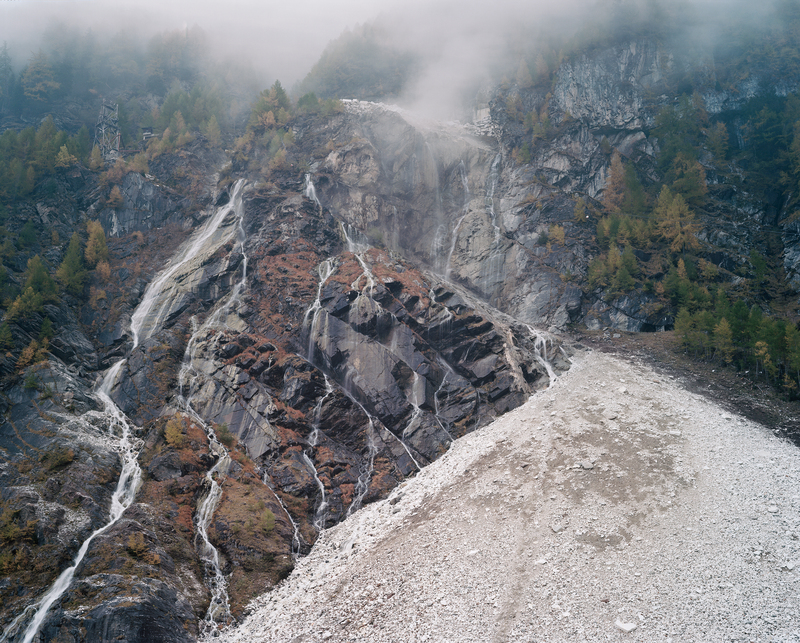 In White Marble Scree, Cava di Marmo, Weisswasserbruch, Jennwand, Sudtirol Oct 2010 the veins of a waterfall trickling down the side of a mountain is parodied by discarded marble rocks, spewing in a great triangle across the water’s path. With White Marble Face, Cava di Marmo, Wandbruch, Weisswand, Sudtirol Oct 2010, the quarry itself becomes a haphazard grid of angry black lines cut into the precious white commodity. More generally though, what Perry photographs aren’t necessarily spots he’s singled out for their relevance to global affairs. He doesn’t have to. They bring home the sense that environmental issues are now so all-encompassing you don’t need to journey to the Arctic to discover man’s impact on the eco system. The effects are everywhere. In spite of their melancholy ambience though, it would be hard to see these photographs as fatalistic. The different kinds of beauty Perry evokes also invite us to be open to the unknown possibilities of change.